Queenslanders in ever-increasing numbers are buying E10 fuel, with October sales up by 11 per cent on the previous month. Analysis by RACQ found 35.6 million litres of E10, unleaded fuel that contains up to 10 percent ethanol, was sold in October, ahead of the ethanol fuel mandate coming into effect on January 1. “Even though we’ve seen a climb in the amount of E10 being used, the October sales still account for only half the mandated volume,” RACQ spokesman Paul Turner said. Mr Turner said the RACQ was “ambivalent” about the mandate. He said it was important Queenslanders have a choice but equally important that they educated themselves about E10. “Government often gets bagged, but the RACQ thinks it’s important to congratulate them on their E10 OK campaign,” he said. Mr Turner said the lack of education in NSW when an ethanol mandate was introduced led to an increase in premium fuel sales, as people were too scared to use E10 when normal unleaded was unavailable. “We put a lot of that down to NSW motorists don’t know they can use E10, that’s what’s so important about the education campaign,” he said. “So far in Queensland, the E10 usage hasn’t influenced premium sales, which is a positive thing. 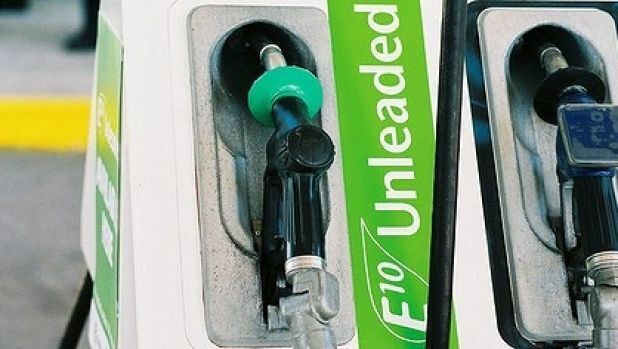 Mr Turner said many motorists were choosing to use the ethanol fuel as “virtually any car from the last 10 years is going to be E10 compliant”, however the RACQ is “disappointed” the E10 fuel is only two cents a litre less than standard unleaded. “We think it should be a 4 cent discount because it’s less efficient,” he said. While some motorists would choose to use the fuel because it had better environmental credentials, Mr Turner said other drivers should consider the fact it also supported regional development in Queensland.